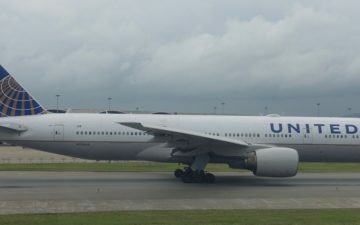 Through June 30, both American and United are offering substantial mileage bonuses for travel between the US and the UK. Both offers are only valid for travel booked after the start of the promotion (March 19 for American and March 23 for United). Only travel starting in North America qualifies, and there are some residency restrictions as well (exact countries vary, see the T&C’s). 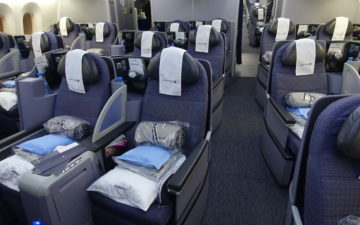 American is offering 50,000 bonus miles for H fares or higher, while United is offering 25,000 bonus miles for coach fares that are H or higher, and 50,000 bonus miles for business or first class fares. That can be a great deal, especially when combined with double EQM’s. I know United often has business class sales over summer in which they have fares under $2,000 all-in from the east coast to LHR, so that definitely seems like an unbeatable deal with 50,000 bonus miles. Sometimes H fares aren’t too high either, often as low as $1,000 all-in. While this might not be fantastic mileage run material, it’s worth considering if you’re planning a trip to London and might have otherwise purchased a cheaper fare. You can register for the American offer here and for the United offer here.